Co-created by Lara Liew and Tom Sainsbury, Dynamotion’s forte is taking b-movie genres and turning them into quasi-musicals with actors doing performing choreography. It’s a great idea, and they have mined it for a series of fun parodies, taking in everything from old-school exploitation horror movies, 60s Bondmania and Terminator 2. Dynamotion’s latest finds them tackling classic Hollywood monsters, through the familiar lineup of Universal Horror (Frankenstein’s monster and Bride, Igor, the Mummy, the Invisible Man and Teenage Wolfman plus a Cat Person from the classic RKO chiller, Cat People). But something is a bit off with their latest joint, Monster Mash. I really enjoyed Dynamotion’s Mia Blonde. A parody of James Bond, it used the tropes of the Bond formula. More importantly, it featured a clear set of characters, and a simple story to hang the musical numbers on. The same is not true here. The premise is initially similar to The Big Chill – a group of old friends come together to mourn one of their number (The Blob) who has passed away. The death acts as a catalyst for the group to reckon with their place in their world, and the passage of time. It has the makings of a great comedy: how can the Universal Monsters crack today’s jaded viewers? But that premise is quickly diluted – there are multiple characters with their own arcs, and no real strong thread holding them together. For most of the show, the characters wander in and out, some with their own stories (Sainsbury’s Creature has to deal with fatherhood; Teen Wolf wants to chart his own course seperate from the group) but there is no real change or conflict. It takes most of the run time before a real plot appears, and the finale – in which the Monsters try to scare the audience – falls flat. 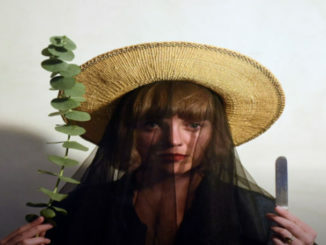 As the Bride of Frankenstein and Frankenstein’s Monster, Kate Simmonds and Harry McNaughton have a fun rapport, while Roberto Nascimento adds a welcome layer of cheese to proceedings as a woefully outdated Dracula. The rest of the cast (Kura Forrester as Igora; Cat Fawcett-Cornes as Cat Person; Zak Enyat as Teen Wolf; Tallulah Holly-Massey as Lacy Lagoon; Ravi Gurunathan as The Invisible Man, The Boogie Monster, AND Slenderman; Sainsbury as the Creature from the Black Lagoon; and Liew as the Mummy) are fine, but they are hamstrung by a script that cannot focus on a central throughline. The lack of a strong narrative also renders the musical numbers inert – it’s fine if you like the songs (including Rihanna, Blondie and Avril Lavigne), but none of the numbers feel that dramatically functional. There’s never any real sense that they are providing an emotional release for the characters, or acting as a payoff for anything. They just happen at regular intervals, rather than feeling organic to the show. 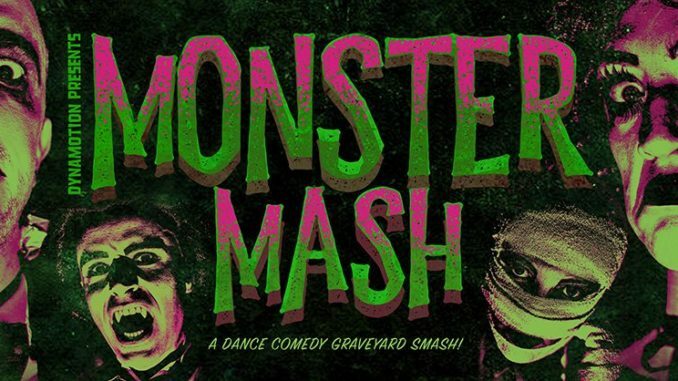 Monster Mash is not a total disaster – the songs are catchy and the choreography is fun – but there is nothing cohesive or propulsive about it to pull you in. 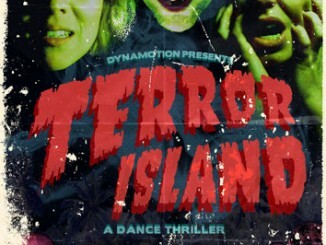 Monster Mash is presented by Dynamotion and plays at Q Theatre until 24 November.